Most people think we’re crazy when we announced we would visit Helsinki in winter – not once, but TWICE! 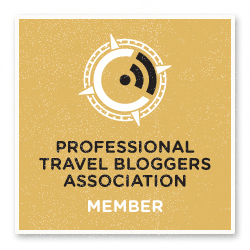 Nick was in the Finnish capital for Nordic Bloggers Experience in 2015, and we were lucky to be both selected to participate in 2016 as well. 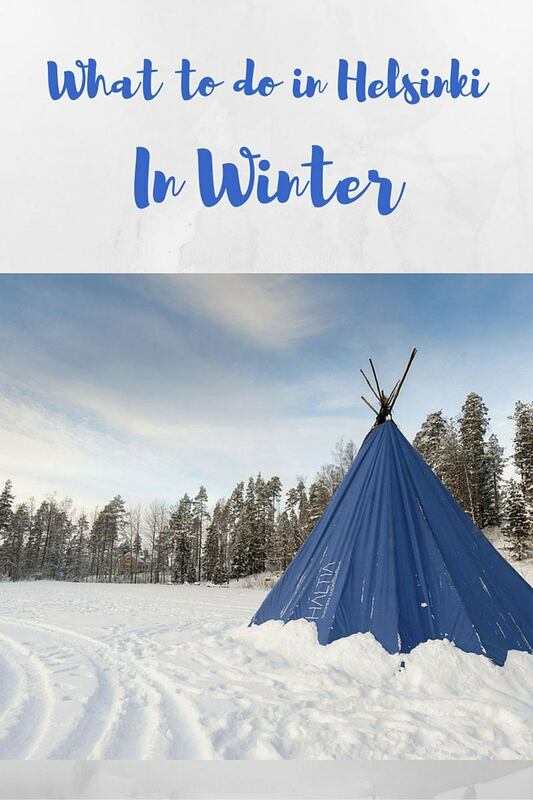 If you’re wondering what to do in Helsinki in winter, this is the post for you – we’ll reveal 6 awesome things to do in and around Helsinki, and great places to stay in town without breaking your budget! I’ve never been the kind of person that refuses to visit a city I have been to before. I have visited some of my favourite cities time and time again – Berlin and Budapest three times last year alone, Rome and Florence perhaps twenty times each, and I can’t wait to return to London and Paris, cities I love deeply and I haven’t been to for a while now. Another example of a city that deserves more than one visit is Helsinki. The capital of Finland is actually two cities in one. 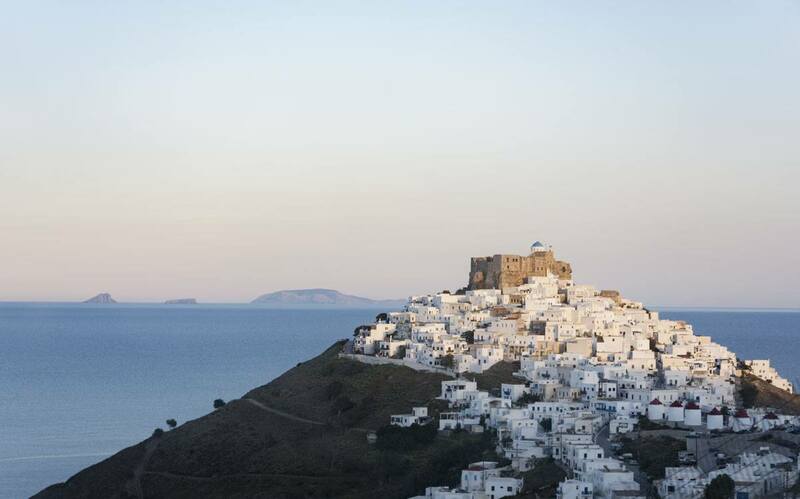 In summer, the town moves outdoors, between picnics, parties and weekends away on the islands around the city. During our first visit, we had the chance to spend one night on Suomenlinna, the UNESCO-listed fortress island off the coast of Helsinki, and spent three days exploring the city, which – surprise surprise – was not as expensive as we imagined. After that trip, we put together a guide of free things to do in Helsinki, and the visit left us yearning to explore the Finnish capital further. Helsinki has some great boutique and design hotels, perfect to relax and warm up if you’re visiting Helsinki during December, January and February, when the weather dips to way below zero! Here are our six favourites, or check our post about Helsinki Design Hotels for a wider selection. Hotel F6 – a boutique hotel perfect to experience hygge when visiting Helsinki during December, January and February! That’s why we were delighted to have been chosen to return to Helsinki for the Nordic Bloggers Experience – and this time, we would be visiting the city in January. We took the same flight we had taken in summer, and landed at 3.25 pm – whereas in summer we still had several hours of sunlight ahead of us, this time it was already dark. 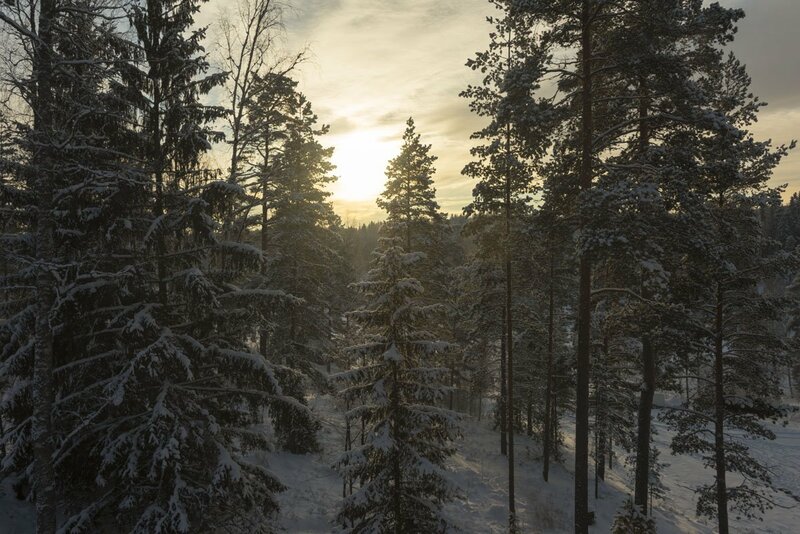 In winter, the atmosphere around Helsinki is just as magical as in summer. The long Nordic days of summer become very short, as the sun rises above the horizon only for a few hours each day. Yes, it may be cold, but you get the benefit of sunrises without having to wake up at ungodly hours; and after sunset, the town is bathed in the blue light of the magical ‘blue hour’ between dusk and night. The sea freezes over and the town is covered in snow, making it look like a fairytale. 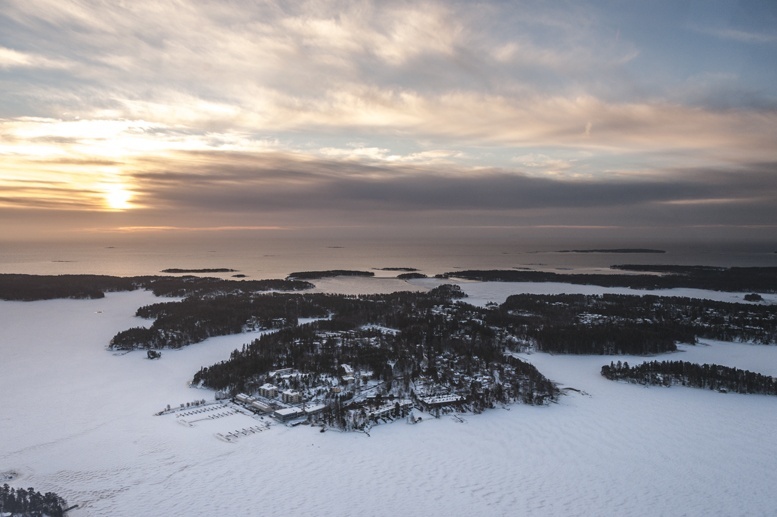 So, what to do in winter in Helsinki if you find yourself there? Here are eight ideas to enjoy the best of what the city has to offer in December, January and February! 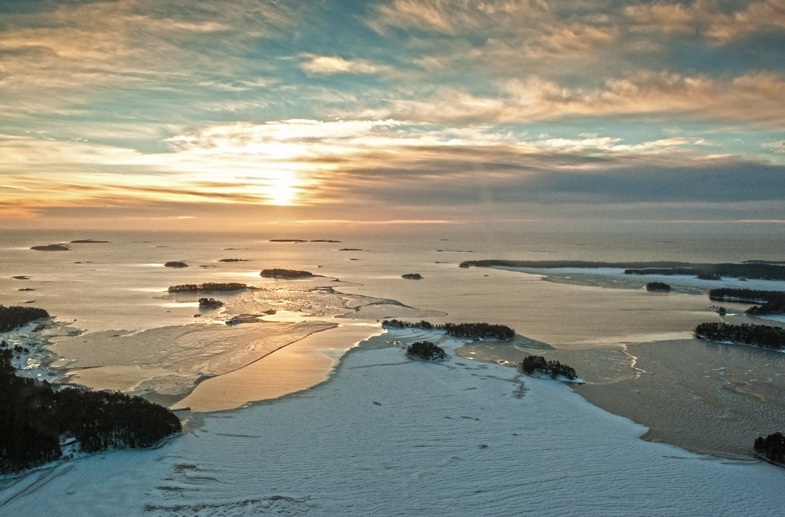 There are several islands off the coast of Helsinki, including many where locals have their summer homes. In summer, these islands are probably at their best – people often spend the entire season there, enjoying nature and time with friends and family. 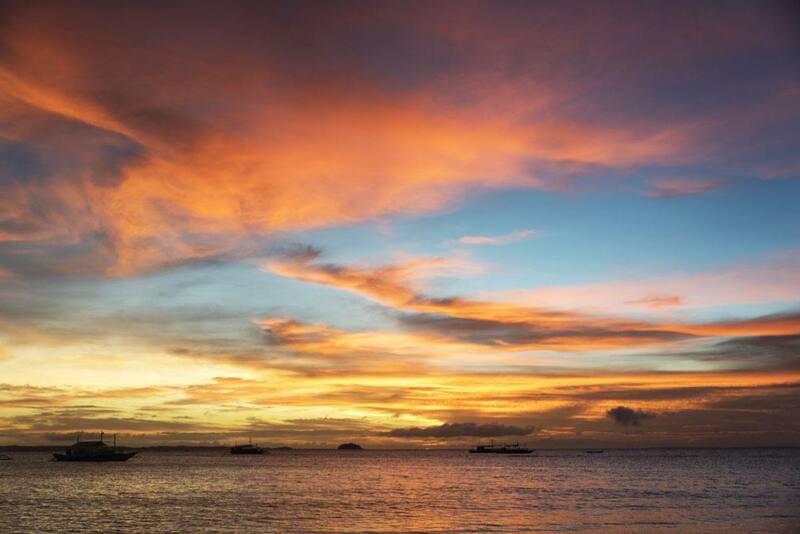 Unsurprisingly, in winter the islands are usually very quiet – but that is not to say they aren’t worth a visit! 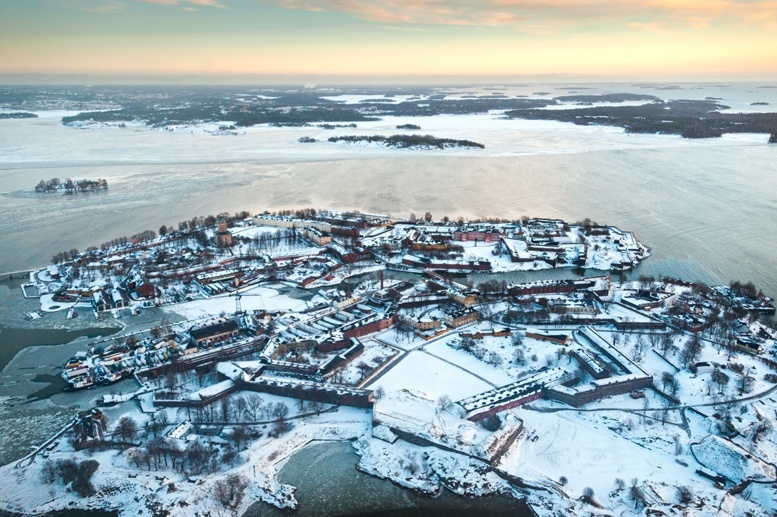 The most famous of the islands just off Helsinki’s harbour is Suomenlinna, a fortress island with several museums, historic sights and a community of 800 residents. 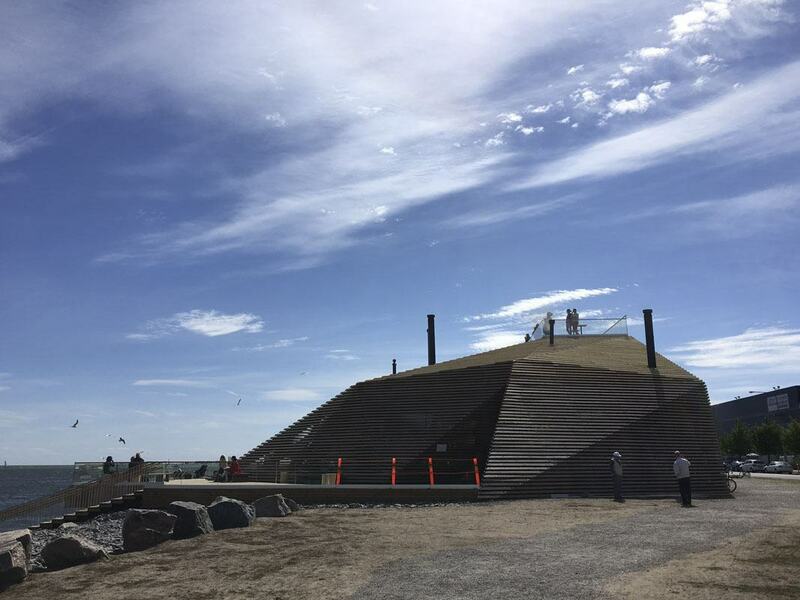 In summer, Suomenlinna becomes a popular destination for young people, who take advantage of the 24 hour ferries and organise ‘secret’ parties on the meadows between one fortified tower and another – think cans of Karhu beer and music blaring from iPhone speakers. The museums are wonderful year-round; wandering around Suomenlinna in winter, between snow-blanketed meadows and the frozen sea, was simply magical. There was barely a soul around, and no sound other than our boots crunching the snow. 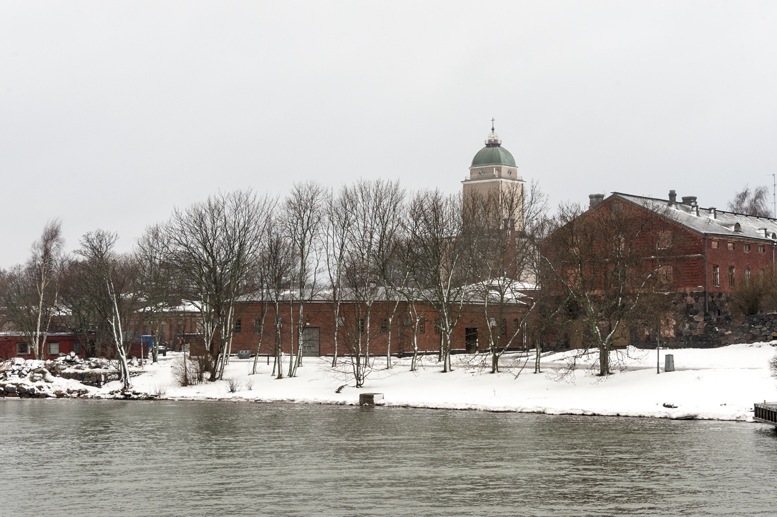 Don’t miss heading to Suomenlinna if you’re visiting Helsinki in winter! 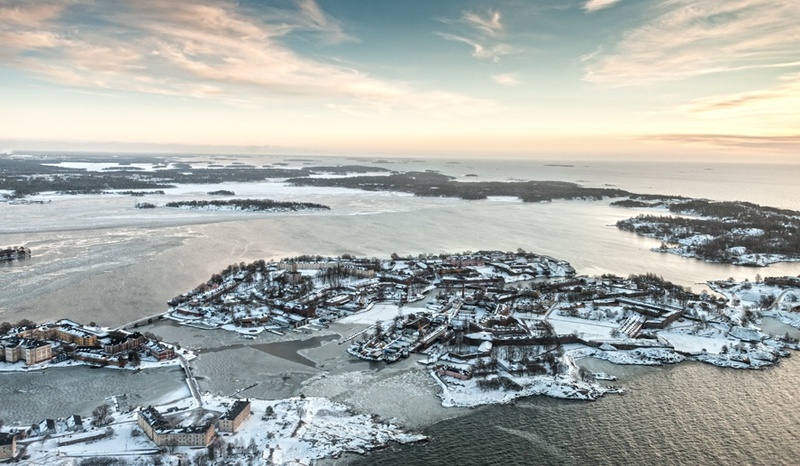 Check out these Suomenlinna Tours! 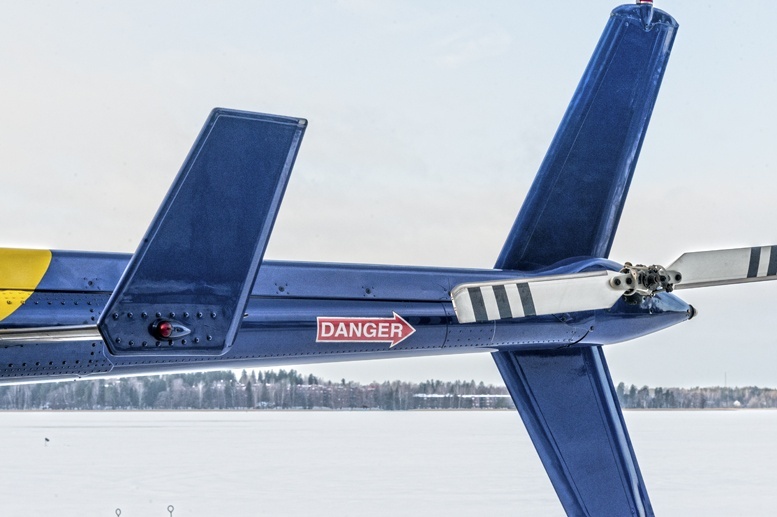 During his first winter visit to Helsinki, Nick had the chance to take a helicopter tour over the city. You can imagine how envious I was, right? Flying over one of the most beautiful cities in Europe, on a helicopter (a kind of transport that, to date, I haven’t yet experienced!) at sunrise… Amazing, right? Well, take a look at these pictures and I’m sure you’ll agree! The company that organised the tour is called Rotorway. Nick and the other bloggers were taken by bus to a park out of the city centre, where there’s a perfect place for a helicopter to take off and land. Tours last about 25 minutes and each helicopter can fit up to 6 people – a lucky one at the front right next to the pilot and others in the back. 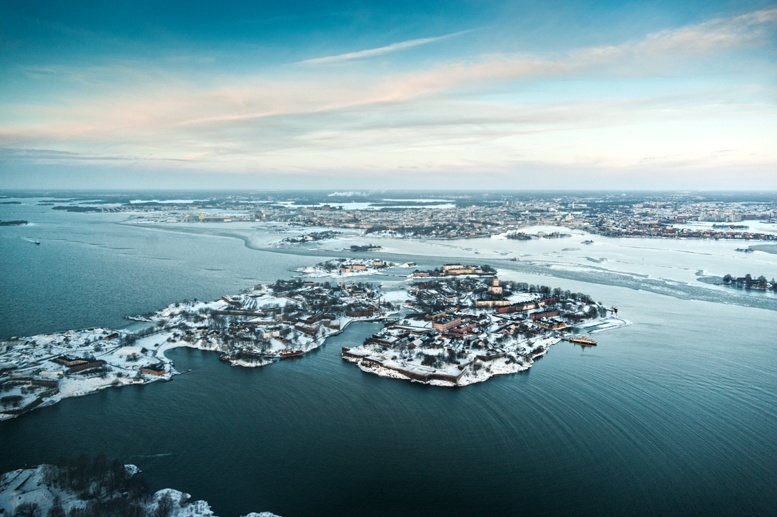 Helsinki is a great place to enjoy from the air – especially in winter, when the city is covered in snow and the frozen sea doesn’t make it immediately clear where land ends and water begins. 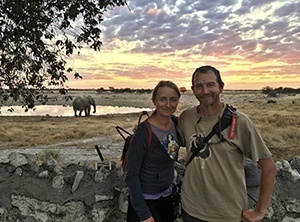 To make things even better, tours at typically around ‘sunrise’ – and in winter, at these latitudes, sunrise means around 9.30 am, so there’s no need for an early wake up. 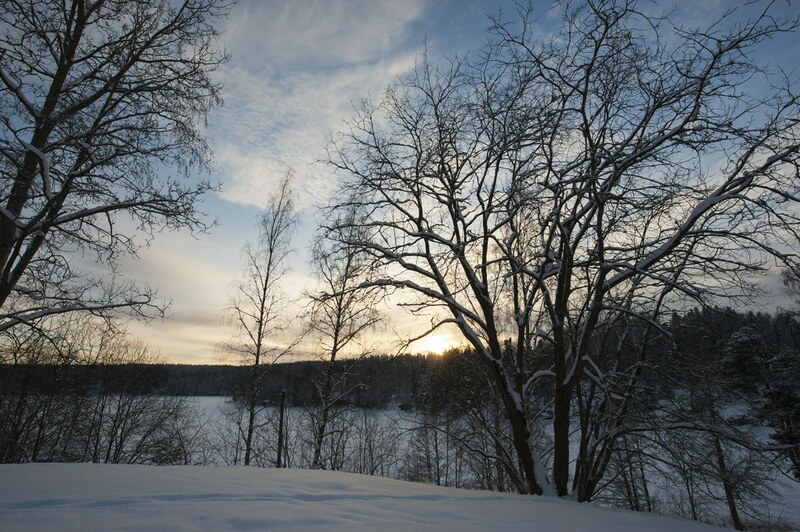 Great for sleepy heads like us, and for anyone visiting Helsinki in winter! 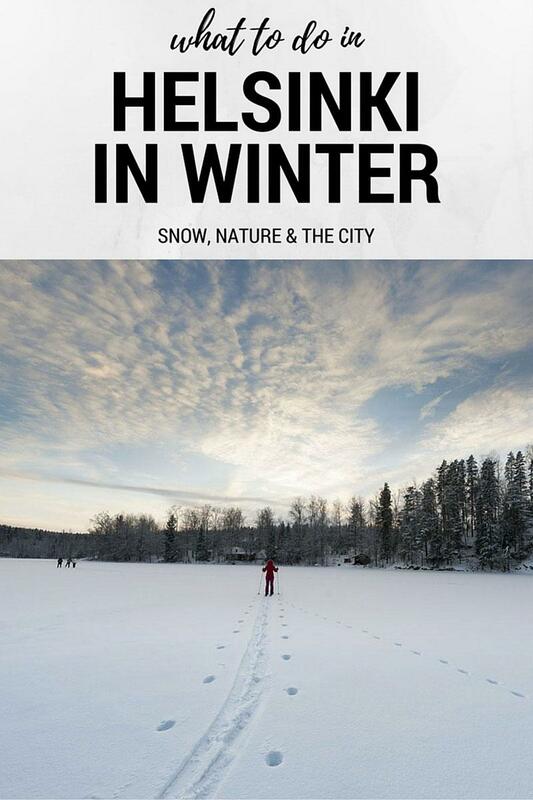 Naturally, you can’t miss checking out the city centre if you’re visiting Helsinki in winter. Since it’s bound to get cold at some stage, you can seek refuge into one of the city’s unique churches! 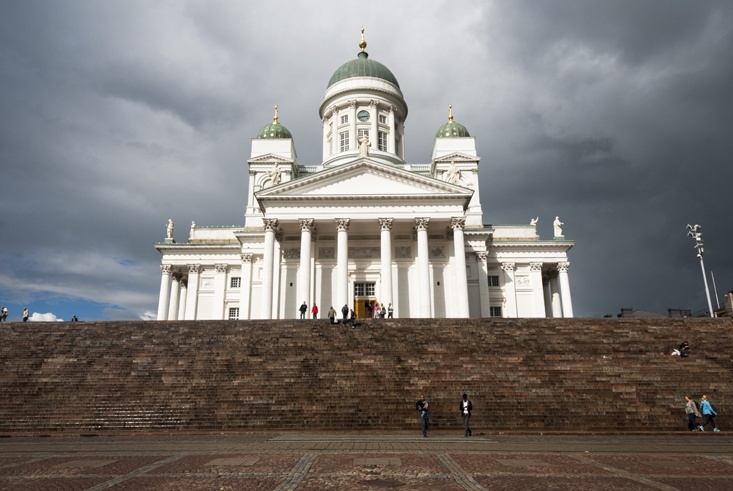 Helsinki Cathedral is a great place to start – it’s one of the city’s best known landmarks, sitting on top of a small hill in the heart of the city, just a couple of blocks from the harbour where you catch the Suomenlinna ferry. The white building surrounded by the snow is very photogenic, but sadly my camera batteries were dead when we went past (more about it later…), so here’s a summer picture. Not far, you’ll find the modern Kamppi Chapel of Silence. It is built with Finnish wood, is right in the middle of the busy Kamppi neighbourhood, and it’s intended to provide a quiet place for contemplation and relaxation in the heart of the city. Finally, head a few hundred meters north to check out the Temppeliaukio Rock Church. This church is built directly into solid rock, with a circular skylight surrounding a copper dome. 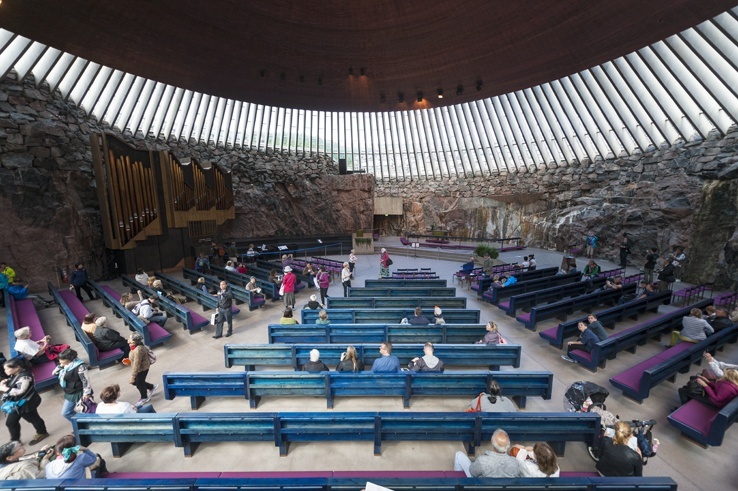 Temppeliaukio Church is known for its acoustics, and you’ll often find concerts or bands practicing – a wonderful way to spend a few minutes relaxing if you’re visiting Helsinki in winter! 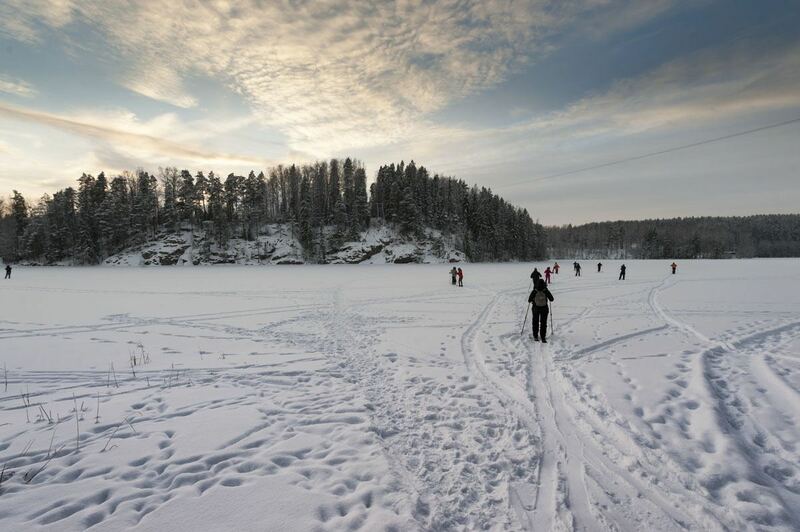 Check out these tours around Helsinki, ideal for Winter! 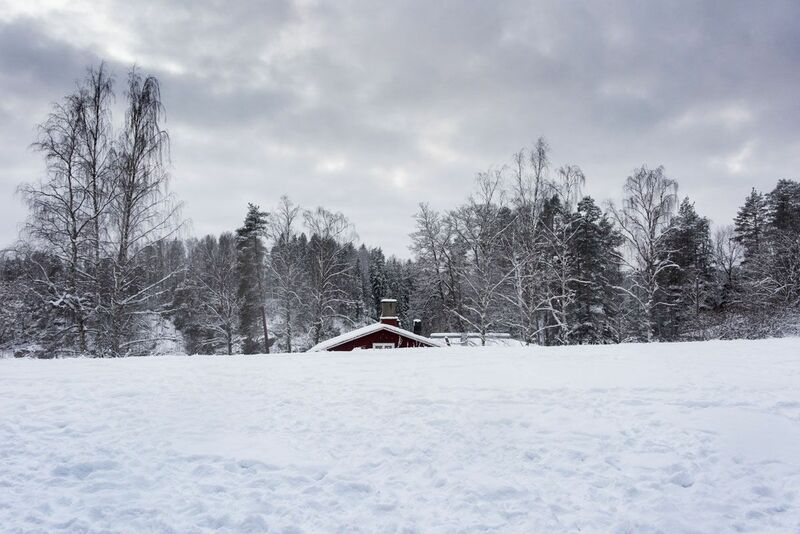 Helsinki City Tour and Winterworld Excursion – where you can try winter activities like an ice bar and kick-sledding without having to travel to Lapland! Russia and Finland have a complicated relationship – unsurprisingly, considering that Russia ruled Finland for over 100 years. During this time, Finnish national identity awakened, until the country finally became independent after the end of WW1. 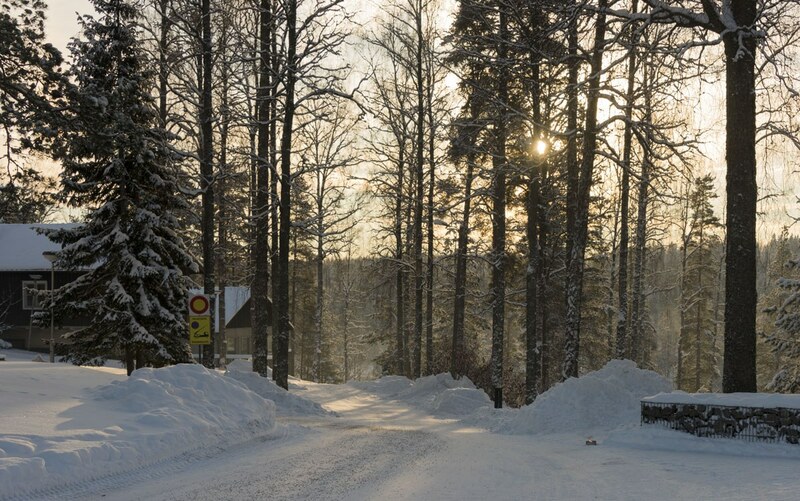 Finland then went on to lose part of its territories to Russia at the end of WW2 – if you’re interested to know more about this matter, check out our post about Salla in Finnish Lapland. In the early days of Modern Finland, Russia was seen as the great oppressor next door, and anything Russian was perceived as ‘bad’. For instance, anyone who’s been to Finland will be familiar with the Finns’ love for coffee. Some say that the Finns drink so much coffee because tea is the quintessentially Russian drink, so of course the Finns had to opt for something else. Yet, both Finns and Russians love vodka. Go figure. 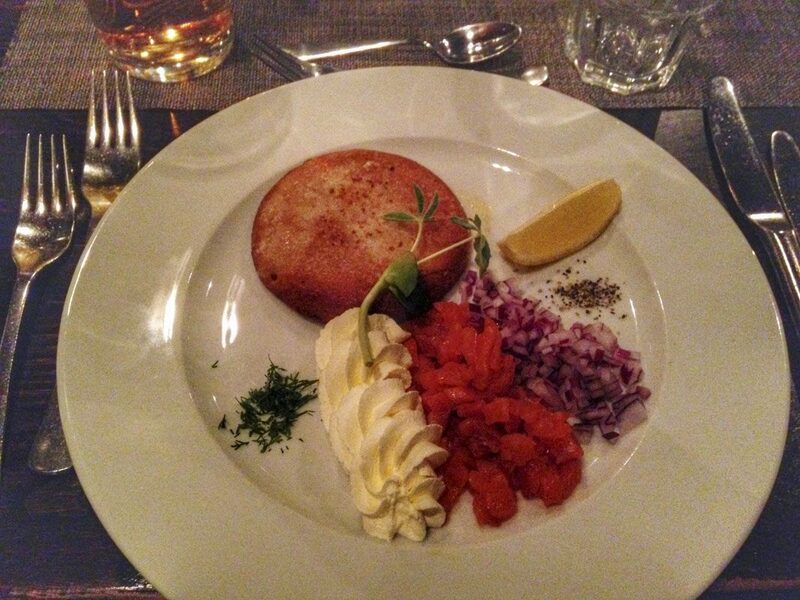 If you visit Finland during the winter season, you may be surprised to find blini on the menu. Blini are a version of pancakes originating from Russia. They are thick and fluffy, smaller than usual pancakes, and traditionally served with fish roe and sour cream. Blini are offered during the dark winter period, especially in January, to lend a festive atmosphere to the beginning of the year – they are soft and buttery, and traditionally served as a starter. Blini became popular in the 1990s – nobody really knows why, but does it matter? They’re delicious! A swim in the frozen sea? why not? If you have a Finnish friend or you’ve ever visited, you’ll be familiar with the country’s obsession with sauna – second only to their love for coffee. The Finns love relaxing with a sauna at the end of the day, and invite friends over for a sauna in the same way we invite people for dinner. Most hotels and some apartment rentals will offer guests access to a sauna. Alternatively you can go to one of many public saunas in town, like Kaurila or Kotiharju, one of the last genuine wood-heated public saunas in Helsinki, open since 1928. If you prefer something more modern, opt for Kultuurisauna, an ecological design sauna heated with wood pellets and with separated areas for men and women. Yet, the coolest place to have a sauna experience in Helsinki is definitely Löyly, located right on the waterfront in a super cool building – it was included in Time Magazine’s 100 Coolest Places in 2018. Here’s Loyly – doesn’t it look cool? 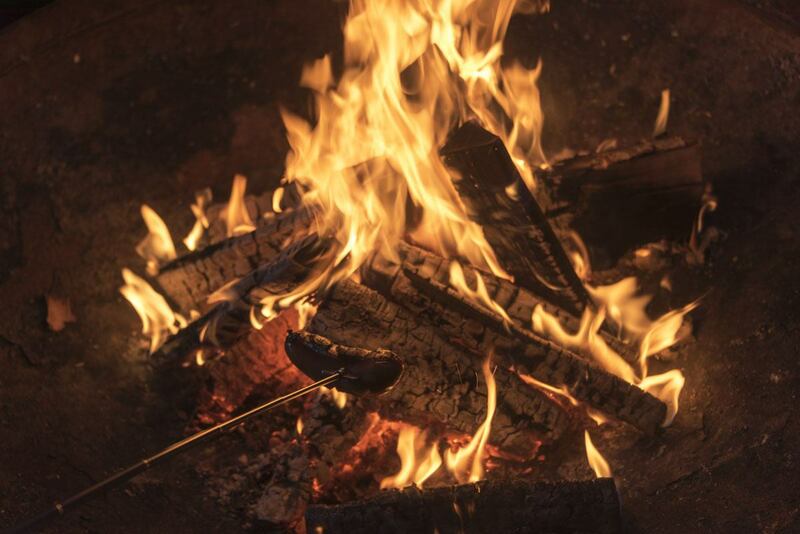 Löyly is a great place to try ‘smoke sauna’, the traditional kind, heated for several hours with a wooden fire. The sauna has ventilation but much of the soot remains on the walls, turning them black. I must say that after having experienced a smoke sauna, the hotel’s electric sauna doesn’t quite hit the spot anymore – just remember not to lean against the walls, or your skin will be covered in soot. There’s only one way to end your Helsinki sauna experience the Finnish way, with an icy dip in the Baltic sea. The experience can be invigorating or downright painful, but it’s definitely something to brag about at home. 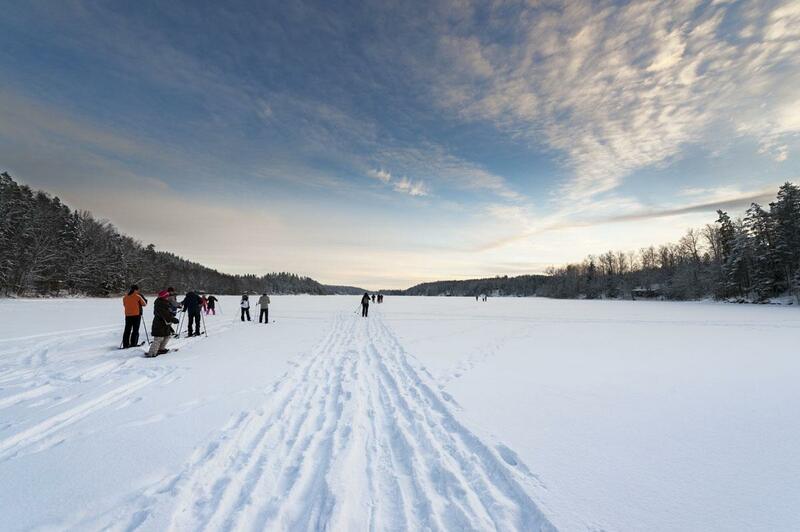 Löyly has an outdoor walkway leading towards a hole in the frozen sea – make sure you walk (or run) in your socks or slippers, because if you do so in your bare feet, they may stick to the frozen walkway. And that hurts. A lot. Helsinki locals are lucky to have an awesome national park right next to the city. Technically, Nuuksio National Park is closer to Espoo, Finland’s second-largest city, but being only 30 km away from Helsinki it’s very easy to plan an outing from the capital. The symbol of Nuuksio National Park is the flying squirrel – they are very rare though, let alone in winter, when they slow down their activity to make up for the scarcity of food. 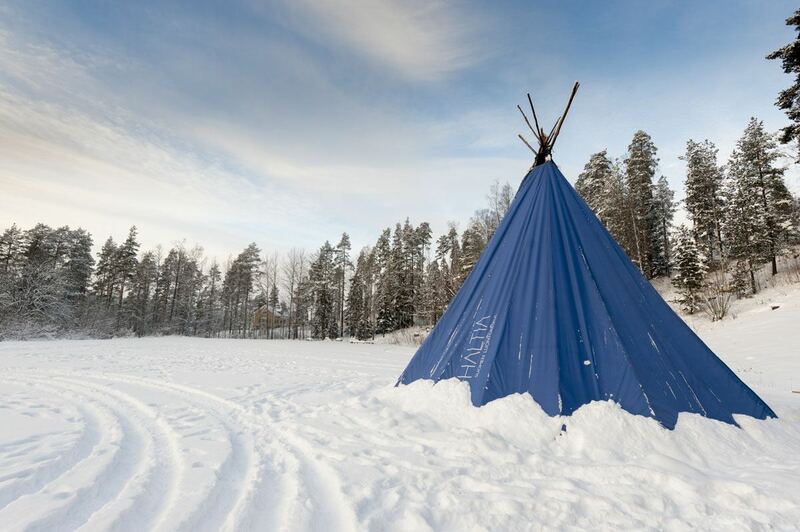 In winter you’ll be able to explore Nuuksio’s paths with snowshoes or cross-country skis, enjoying the beautiful winter light for as long as you can, before retreating to a kota (teepee) for a cup of hot tea or juice. 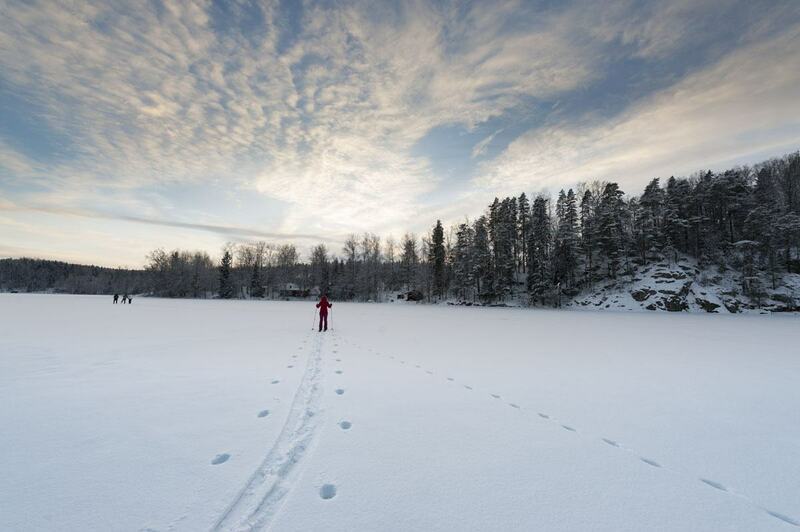 We visited Nuuksio National Park one afternoon when the temperature dipped to -27°. 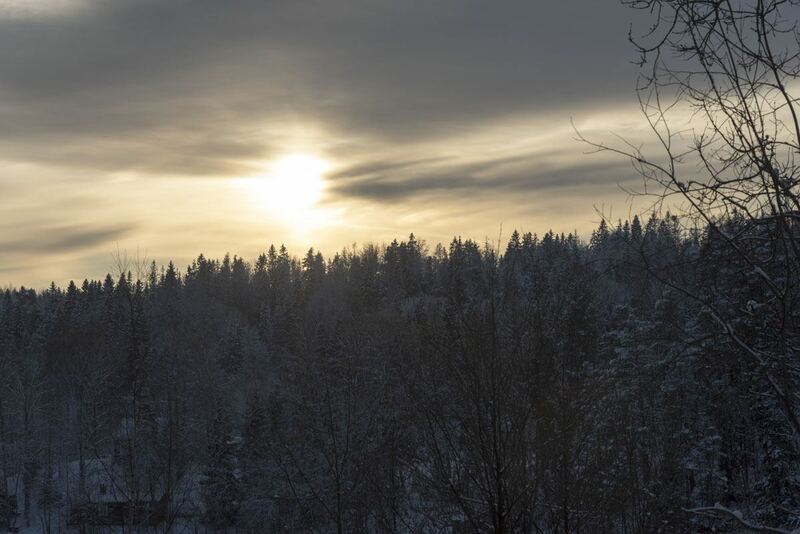 A variety of activities had been organised for us – snowshoeing, meditation in the forest, even a walk with ‘mood rings’ to measure the effect that nature has on our mood. 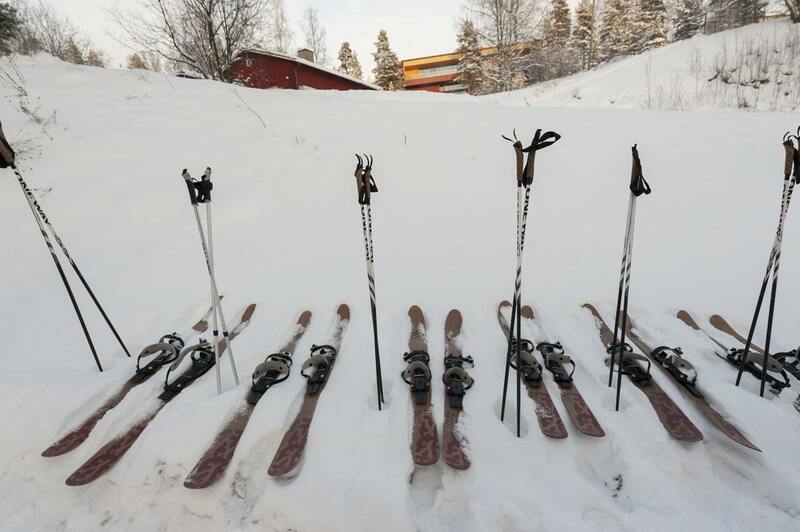 We opted for a trip on Altai skis, shorter and wider than typical cross-country skis, that can be strapped onto your hiking boots. We were only able to resist to the bitter cold for one hour, before the sun set and the temperature dropped even further. That afternoon was nothing short of magical – the cold made everything still and beautiful, as if the world had fallen under a spell. Planning to Visit Nuuksio? Here are some cool tours! When the cold became too much at Nuuksio, we sought some warmth at Haltia, a newly-built exhibition centre dedicated to Finnish nature. 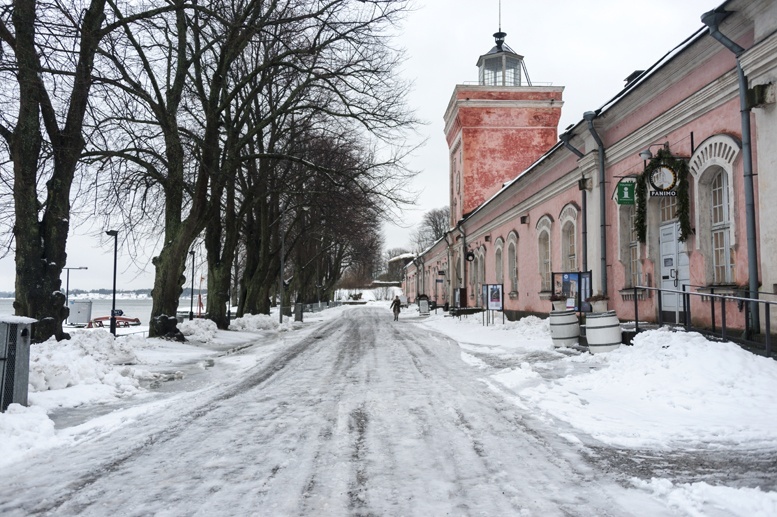 Haltia houses several exhibitions – combined with Nuuksio, it makes for the perfect Helsinki day trip in winter. We were taken for a guided tour that explained the link between Haltia’s architecture and the Kalevala, the epic tale of Finland. In one room, we were surrounded by 360° videos of how Finnish nature changes during the year – from Northern lights to midnight sun, through the colours of winter and the blooms of spring. Haltia also organizes nature-themed concerts and events – we were treated to a concert of a 12 year old musician who played a traditional Finnish instrument that seemed to resemble the sounds of nature. In case you get hungry, Haltia also has an excellent restaurant offering the best of modern Finnish cuisine. Porvoo is another place that looks like a true winter wonderland between December and February, making for a fun day out from Helsinki. It’s only an hour away by bus, but it’s an entirely different city from Helsinki, with a mellow vibe and a ‘village’ feel. 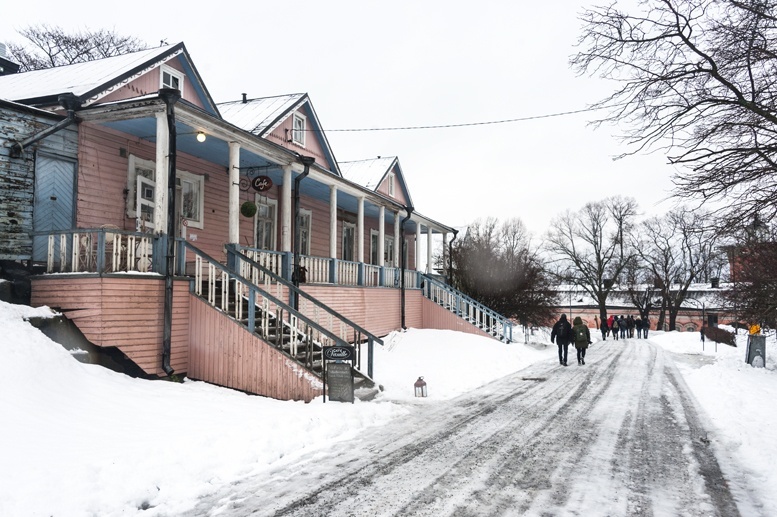 In winter, it’s super fun to wander around Porvoo’s historic centre, full of interesting examples of wooden architecture, and some very picturesque corners. 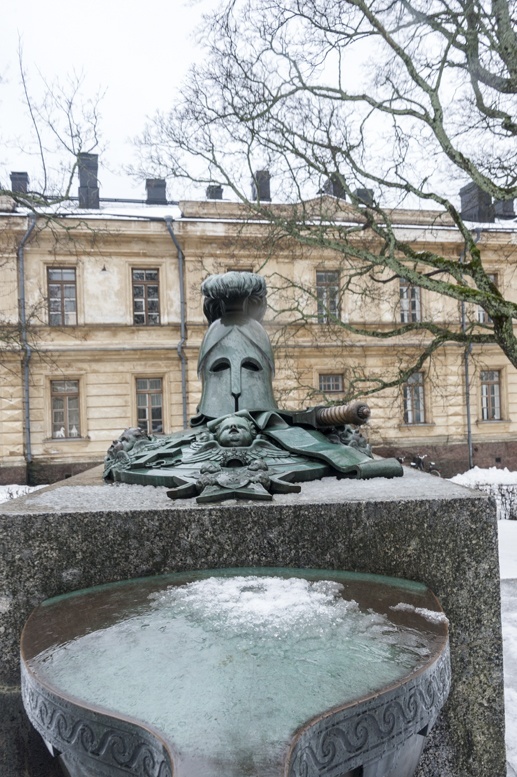 If you want to know more about Porvoo sights and attractions, check out our Porvoo post – we visited twice, in summer and winter, and loved it both times. Planning to Visit Porvoo? Here are some cool tours! Yes, Helsinki is chilly in winter. Temperatures can go down as low as -30°. 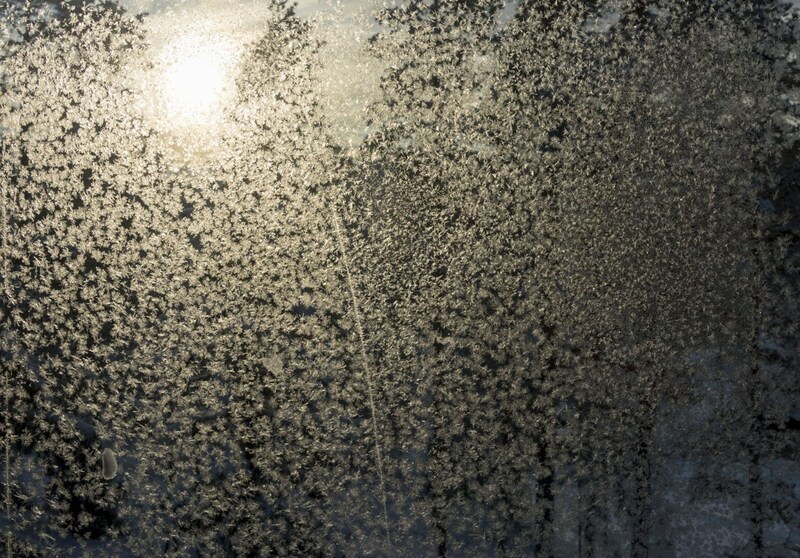 We thought the cold lent an air of otherworldly magic to Helsinki, but if you’re not prepared or ready for it, it can indeed be difficult to bear. So here’s our first tip – dress warm, and choose warm and comfortable shoes. We wore a ski jacket, fleece, a merino wool jumper, thermal underwear and tights, and cross-country ski pants. Forget glamour – you want warmth and practicality. The streets of Helsinki are often icy, so stilettos and anything with a smooth sole will send you flying on your booty. Opt for trekking shoes with a rugged sole. If you’re heading to a meeting, a trade fair or anywhere where formal wear may be required, bring some extra shoes and change your outdoor shoes when you enter. There’s often a ‘shoe room’ in addition to the cloak room. Second tip – batteries. The cold can seriously drain your batteries. That means that even if you have 90% battery left, if your device sits in the cold for too long, it will switch off out of the blue. And that can be seriously annoying, especially if you are relying on your phone for important info like your door code! Solutions? Try to keep your phone next to your body, and keep other electronic devices out of the cold as much as possible. Always make sure you have a battery pack charged up to give your devices an ’emergency boost’ – you’ll often find that a few minutes charge is enough to restore power. 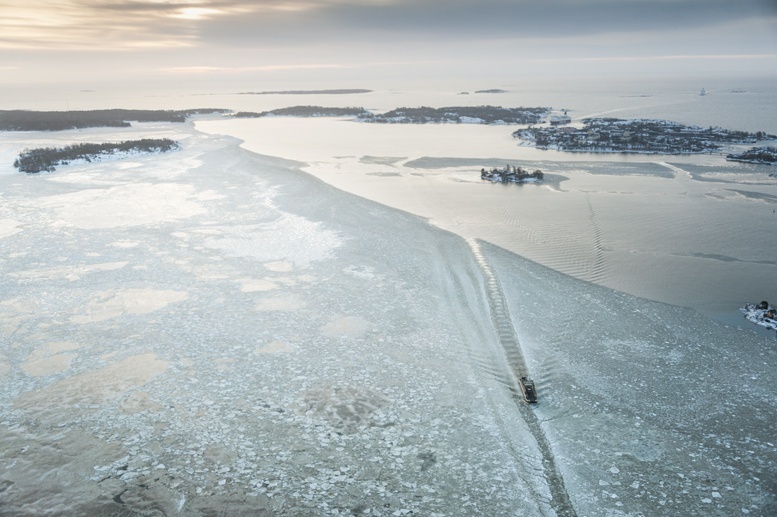 Do you have any other tips on what to do in Helsinki in winter? Let us know! 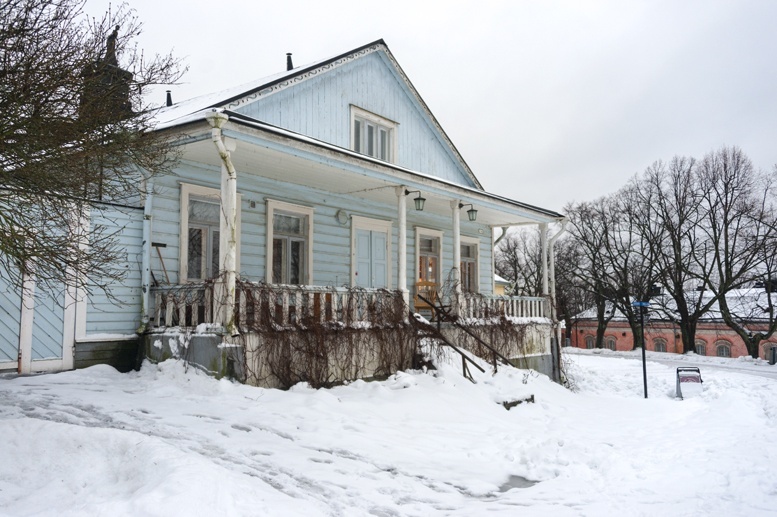 We visited Helsinki in winter 2015 and 2016 as part of the Nordic Bloggers Experience project. As always, all opinions are our own. You’re right, it does seem crazy to go there in the winter! The pictures look amazing though, and I bet the snow makes everything looks like a postcard from a helicopter. Thanks for sharing! I think Finland in winter really gives its best! Stunning place! Thanks for your comment Annie! Thanks a lot!! Very nice to read and a lot of usefull tips and info 🙂 Great sharing, thanks again!